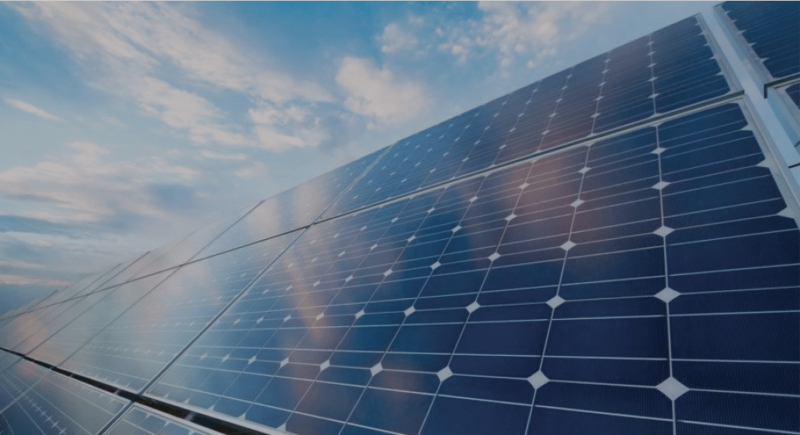 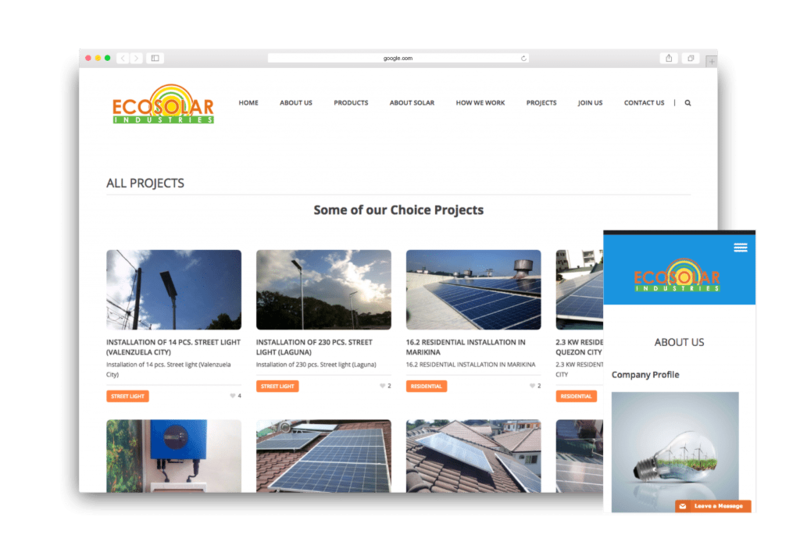 Ecosolar Industries Corporation provides complete photovoltaic system for residential and commercial as well as agricultural and industrial buildings. 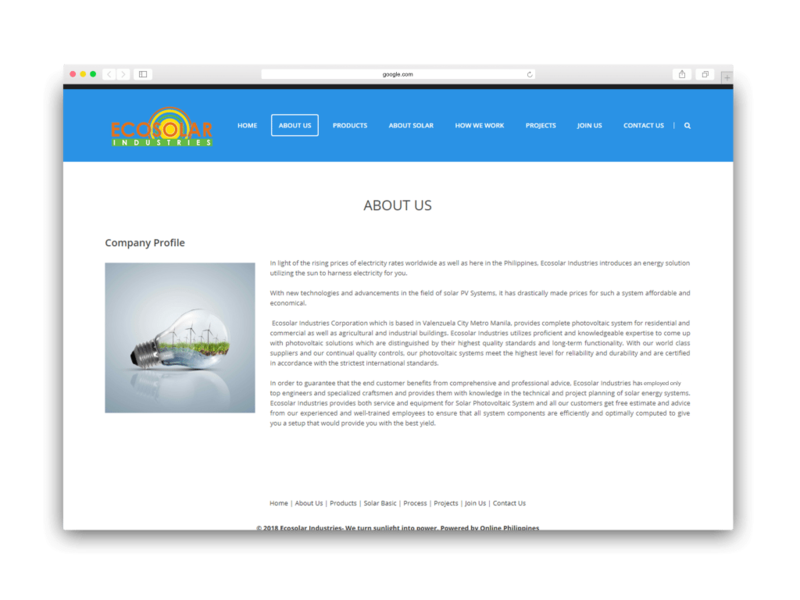 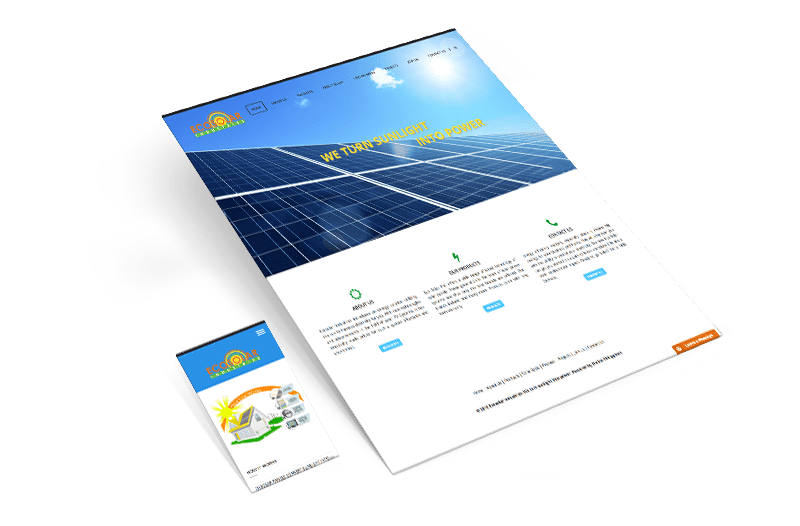 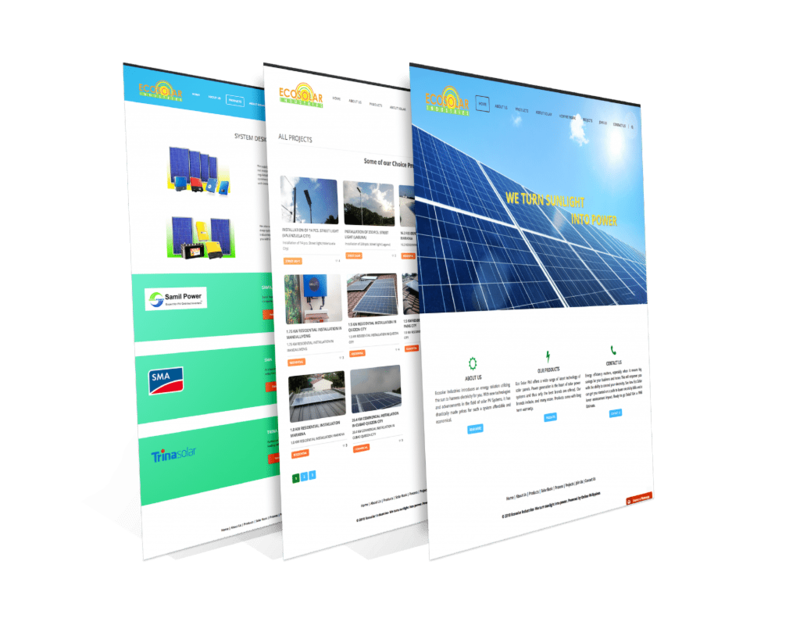 The client wanted a website to educate their audience about the advantages of solar power and showcase their products and projects. 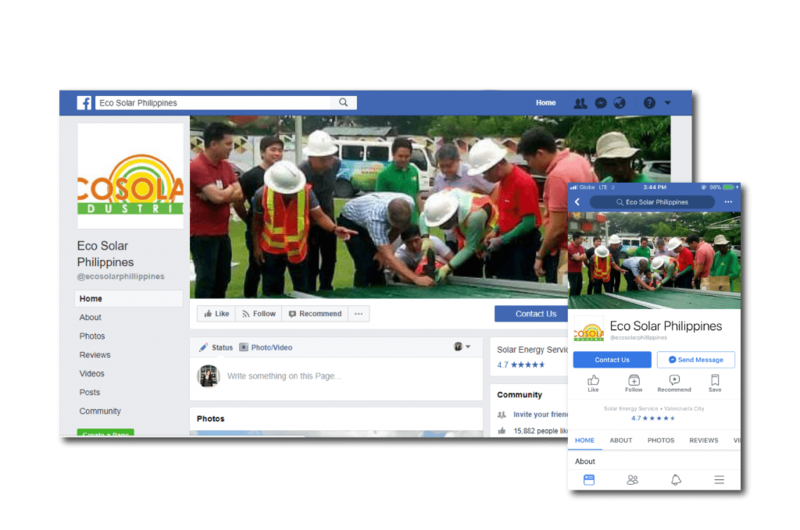 The Ecosolar Philippines website is also mobile responsive, making it easier for mobile users to view and navigate their website.The auto-layout ensures that all text and photos are readable without having to zoom in and out.